As part of what is likely a series of maneuvers to examine the impact of the recent 35-day partial government shutdown, eight House Democrats have asked White House budget director and acting chief of staff Mick Mulvaney to reopen some expired comment periods for agency rulemaking. The lawmakers also urged Mulvaney to direct agencies to “immediately reschedule all canceled public hearings and meetings,” citing examples of damage from the shutdown including complaints from citizens in East Chicago, Ind., that the Environmental Protection Agency cancelled a public hearing scheduled to discuss remediation of a Superfund site that had earlier forced more than 1,000 residents to move due to contamination. The comment period was cut off on Jan. 14, they noted. The lawmakers also mentioned the cutoff of comments on the Interior Department’s controversial proposed rule to streamline its process for handling Freedom of Information Act requests. “Both Reguations.gov and FederalRegister.gov had banners during the shutdown suggesting the sites were not fully operational, and, at one point, Regulations.gov was completely inaccessible,” the letter said. Furloughed staff were unavailable during the appropriations lapse to answer questions, they noted. The lawmakers ask that Mulvaney direct agencies to extend the comment periods for 35 days, including those that were subsequently closed, 35 days being the length of the shutdown. OMB did not respond to a request for comment on Tuesday from Government Executive. 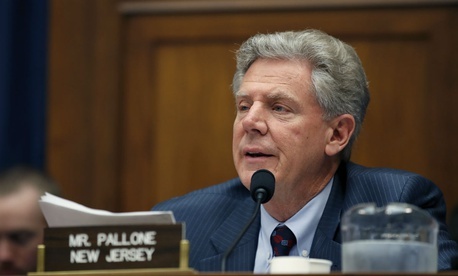 The letter was signed by Reps. Frank Pallone Jr., D-N.J.; Elijah Cummings, D-Md. ; Jerrold Nadler, D-N.Y.; Bennie Thompson, D-Miss. ; Eddie Bernice Johnson, D-Texas; Eliot Engel, D-N.Y; Richard Neal, D-Mass. ; and Maxine Waters, D-Calif.